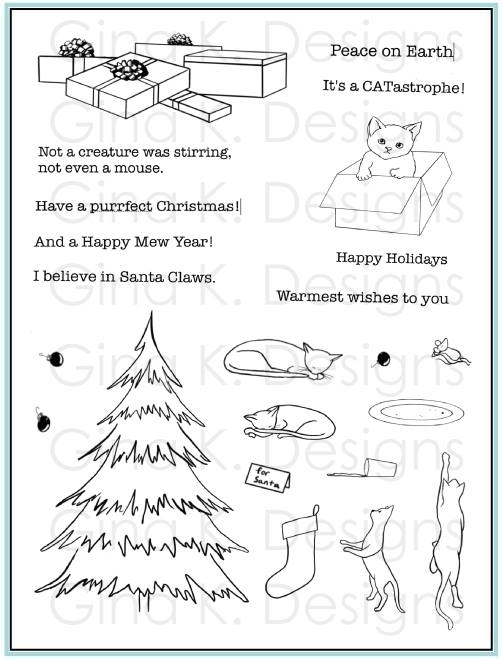 Purrfect Christmas is an adorablel stamp set for the holidays. Color with colored pencils, watercolor or Copic markers and mix and match the greetings to customize your card for many occasions. This set is CLEAR. Made of high quality photo polymer in the USA. Measures 6" x 8".